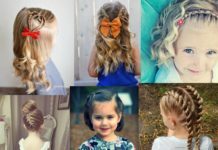 If you love hairstyles that are innovative and intricate, you’ve probably already mastered techniques like Dutch, fishtail, and waterfall braids. 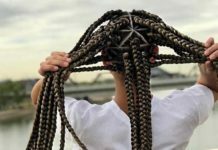 For the next level of braiding sophistication, ladder braids are fun and unique, and you’ll get a ton of compliments whenever you wear one. 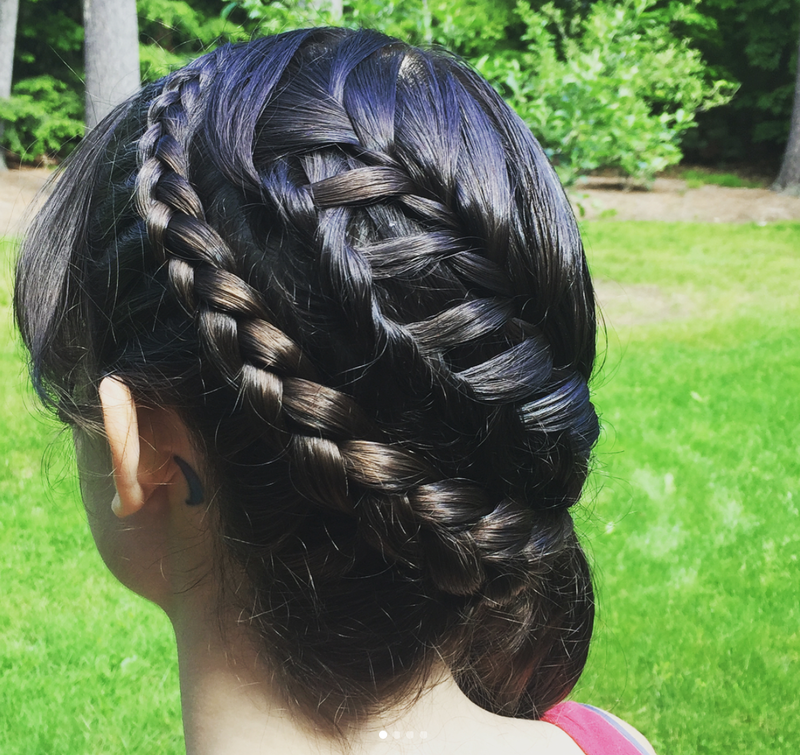 Keep reading to learn how to do a ladder braid and to see 25 different ways you can sport the style. Creating a ladder braid ponytail as pictured is actually quite simple. If you’re braiding your own hair or it’s your first time, a low side ponytail will be the easiest to work with. Take a small section of hair at one side of your ponytail and do a few stitches of a simple three-strand braid. Next, pull small strands of hair from the opposite side of your ponytail and them into one side of your braid. 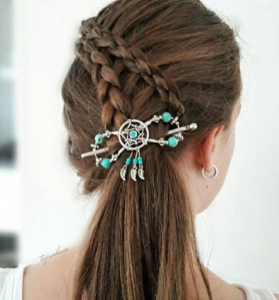 Each strand you add will wrap across your ponytail to look like the rungs of a ladder once your braid is completed. Using smaller strands will create a cool caged effect, while larger pieces can be hard to see. Use a simple ladder braid technique on a high ponytail to create an intricate looking style that’s surprisingly easy. 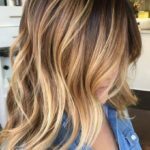 This can be tough to do on your own hair, and you may need to have a friend help you get the finished look. This fancy ladder braid ponytail has been combined with a fishtail braid to create an intricate mermaid inspired style. Tie hair into a mid-height ponytail, leaving one section at the front of the head loose. Braid the loose section into a fishtail braid, then wrap around the base of the ponytail. Next, create a ladder braid on your ponytail, stopping partway down and finishing by wrapping hair around your ponytail. 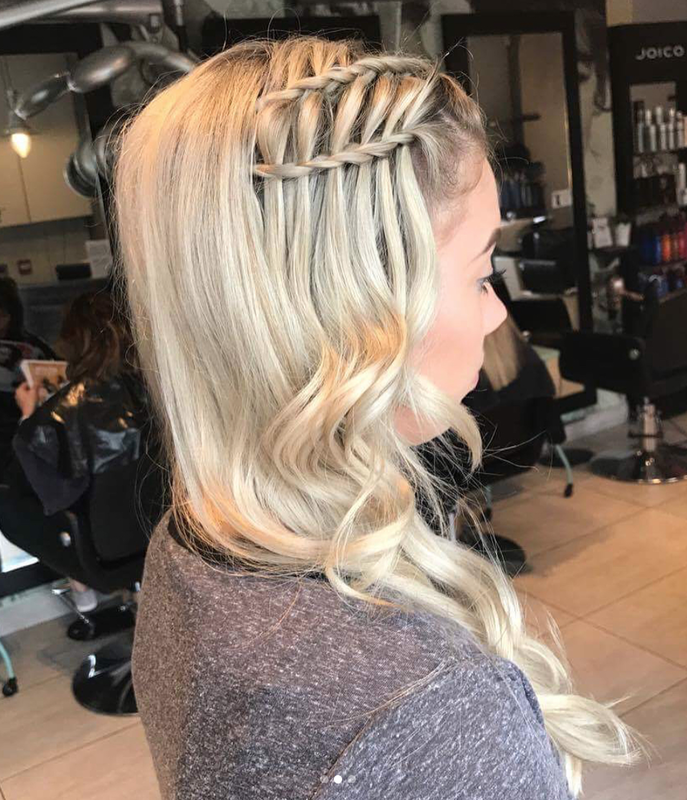 This half up ladder braid style is a romantic combination of different braiding techniques. 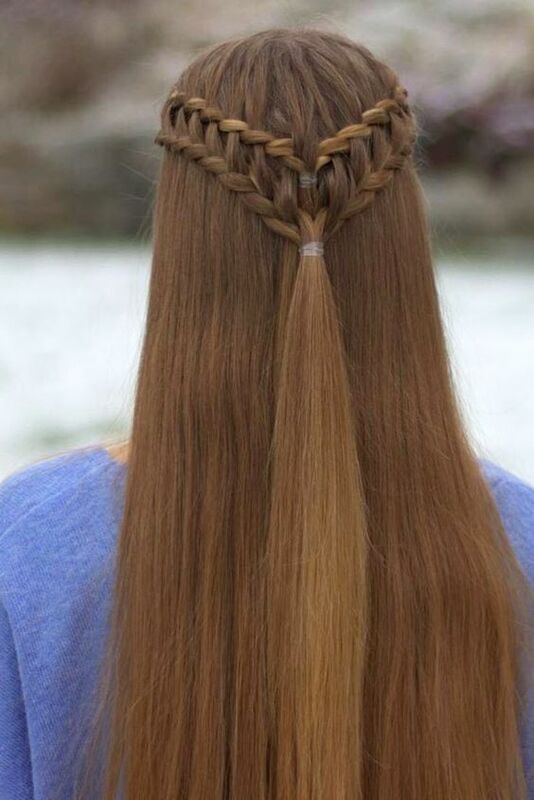 Begin with a waterfall braid, which will be the upper half of the ladder braid. 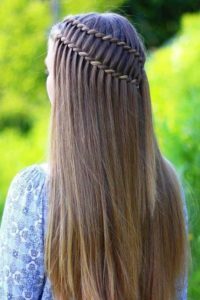 Once complete, begin a second braid underneath, adding the dropped sections from your waterfall braid into the lower braid as you go. To get this ladder braid ponytail, create a waterfall braid that moves diagonally across your head. Next, do a dutch braid (where hair is wrapped underneath the braid instead of over), picking up the dropped waterfall strands as you go. This super cool style starts out with a skinny French braid at one side of the head. 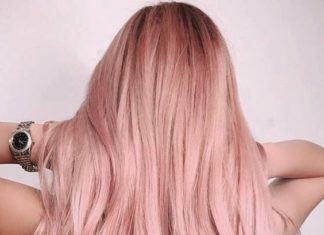 Instead of a regular technique, you’ll add hair in from the down side, and drop sections out from the top side. 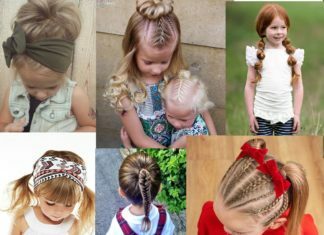 Next, create a dutch braid using hair that runs down the middle of your head, adding in the dropped sections from the french braid. This ladder braided updo is perfect for weddings or other special occasions. 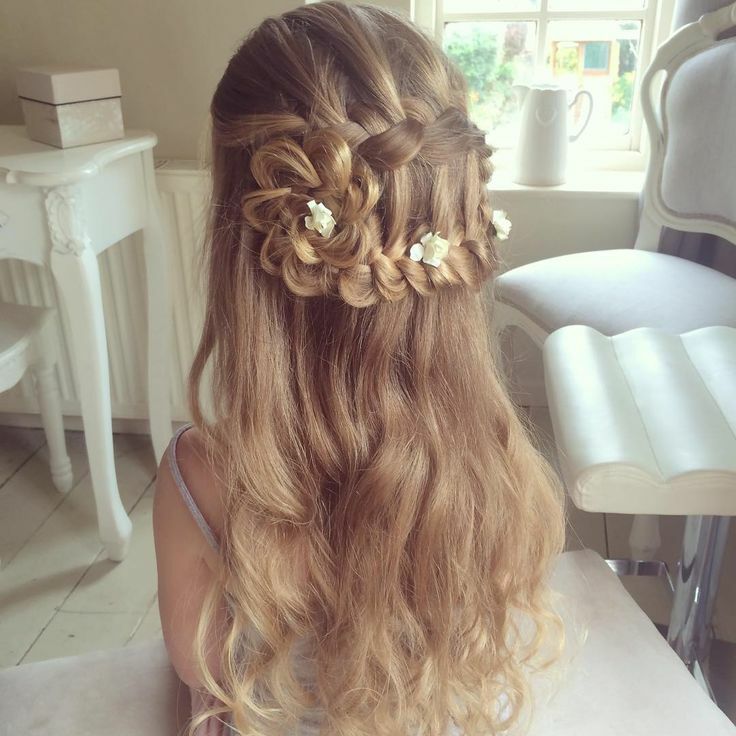 Start by creating a waterfall braid, then secure with an elastic when you’ve reached the back of the head. begin a second braid underneath the first one, adding the dropped pieces of the waterfall braid into your second braid until you’ve reached the back of your head. Tie loose hair into a ponytail, then braid using a simple three-strand technique. Wrap this braid into a bun and secure with pins to complete the look. 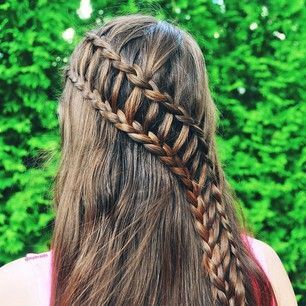 This fun and intricate style features a ladder braid that’s incorporated into a basic three-strand side braid. 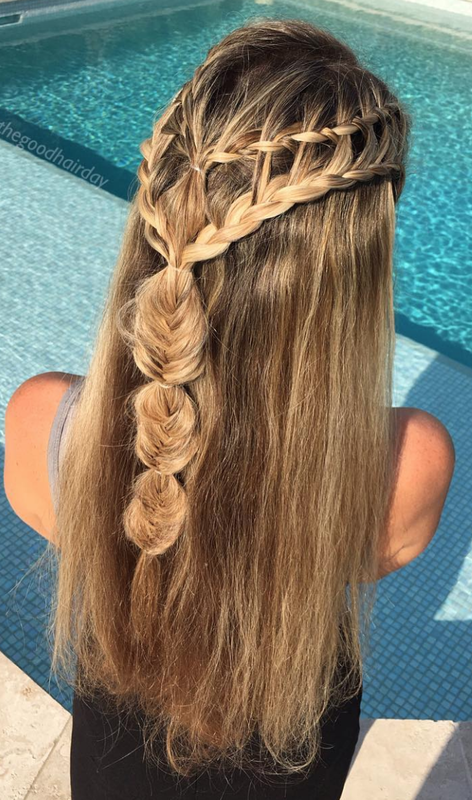 Complete a connected ladder braid using the waterfall technique, then gather these braids into the rest of your loose hair and braid together into a simple side braid. 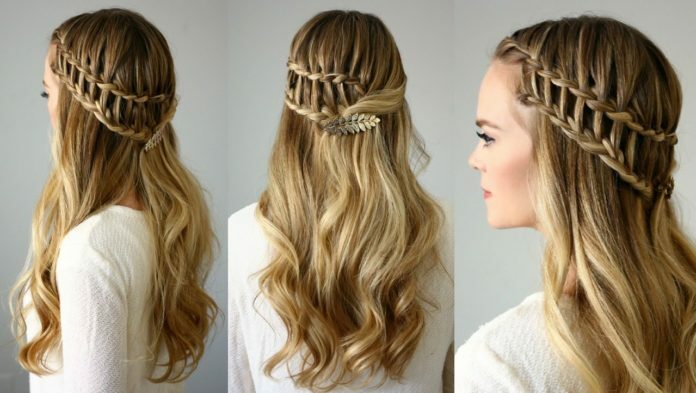 Join together two waterfall braids at the back of your head, then do the same with braids created underneath them. After your ladder braids are connected, use a fishtail technique to create even more visual interest, and tie hair together every few inches to get a bubbled effect. Begin a waterfall braid behind one ear, wrapping it all the way around to the other side of the head. 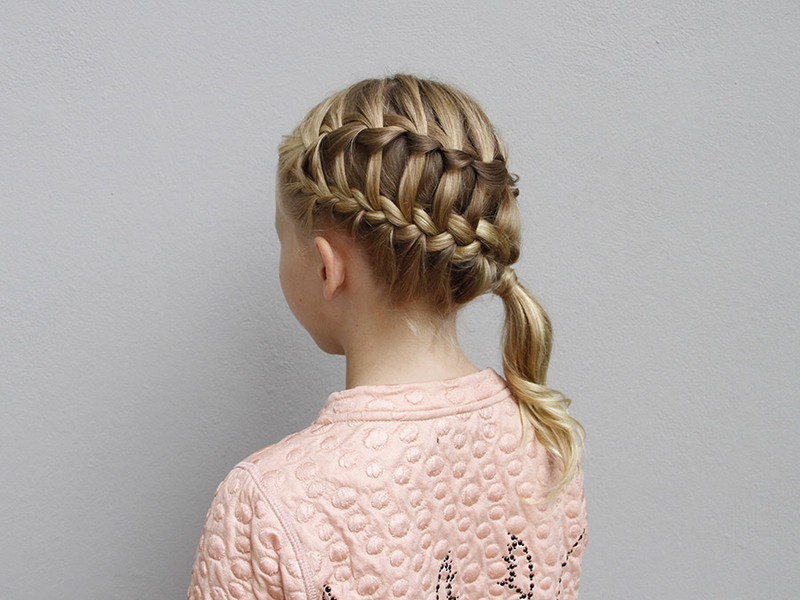 Follow with a second braid to create your ladder, then tie together in a ponytail. 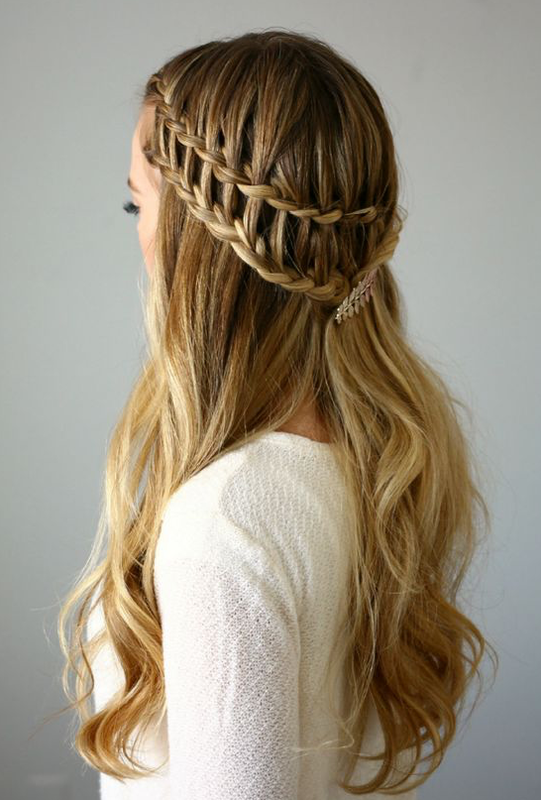 To get this cool ladder braid style, create a diagonal waterfall braid across the back of the head. Begin a three-strand braid underneath the first one, adding in the dropped pieces from your waterfall braid to create the rungs of your ladder. 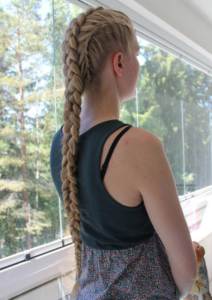 Want a ladder braid you can easily do on your own hair? 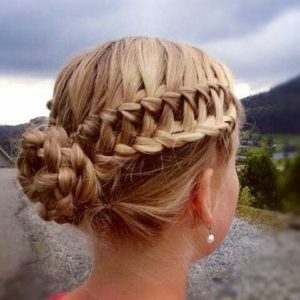 These ladder braided bangs are a great introduction to the style, and don’t involve any sections of hair that you can’t easily see. This side ponytail features a connected ladder braid and a thicker dutch braid. First create a waterfall braid beginning closer to the back of the head, then a second braid underneath it that picks up the dropped sections of your first braid. 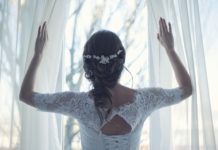 Underneath this ladder braid, use remaining loose hair to create a dutch braid, and tie all hair together in a side ponytail. 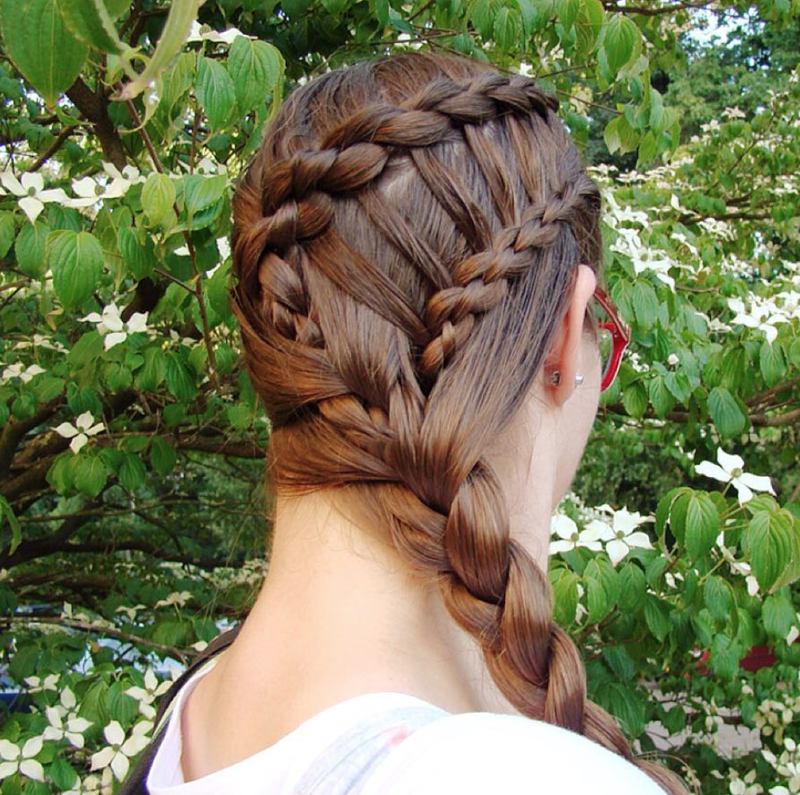 Using two strands instead of three, a waterfall twist braid offers up an easier way to create a ladder braid style. 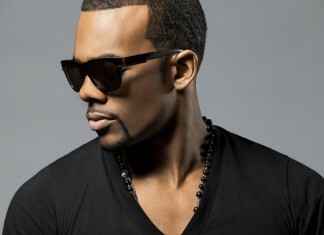 Start by dividing a section of hair into two strands, crossing the lower strand over the top one. 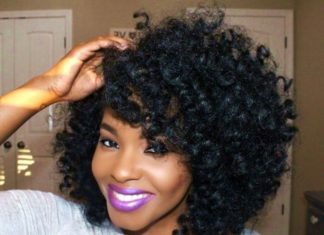 Next, take a piece of loose hair from above, pass it over the upper strand of your twist, then drop this added strand and cross the lower section of your twist over it. Once you’ve completed this waterfall twist, begin a second one underneath, picking up the same sections that were dropped through the first twist. 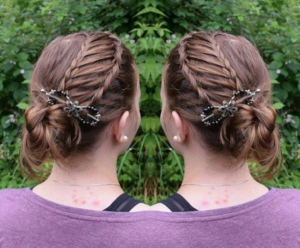 This bun features a ladder braid with a slight twist. When you’re creating the second section of your braid, pick up dropped pieces at an angle to create a diagonal look in the rungs of your ladder braid. 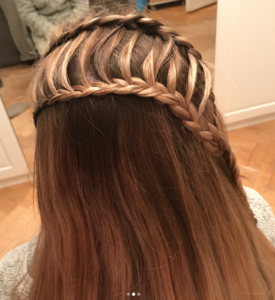 Another easy style to do on your own, this peekaboo ladder braid begins at the middle of your head and adds in small sections from the underneath layers of your hair. 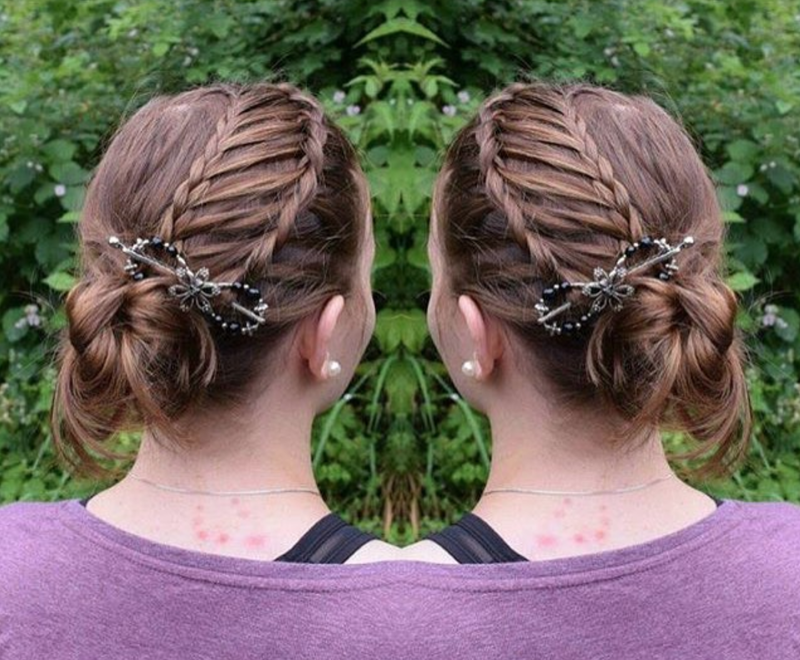 This cool crown braid is great for anyone who has hair that’s all one long length. 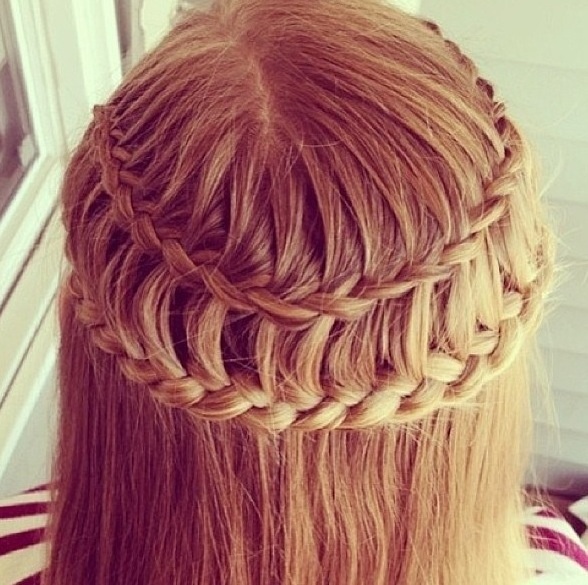 Start with a waterfall braid that wraps around your head to create this crown shape. 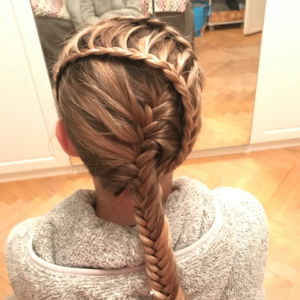 Once you’ve reached the opposite side of your head, braid downwards and then begin wrapping your braid back the other way, picking up the dropped sections to create a ladder effect. 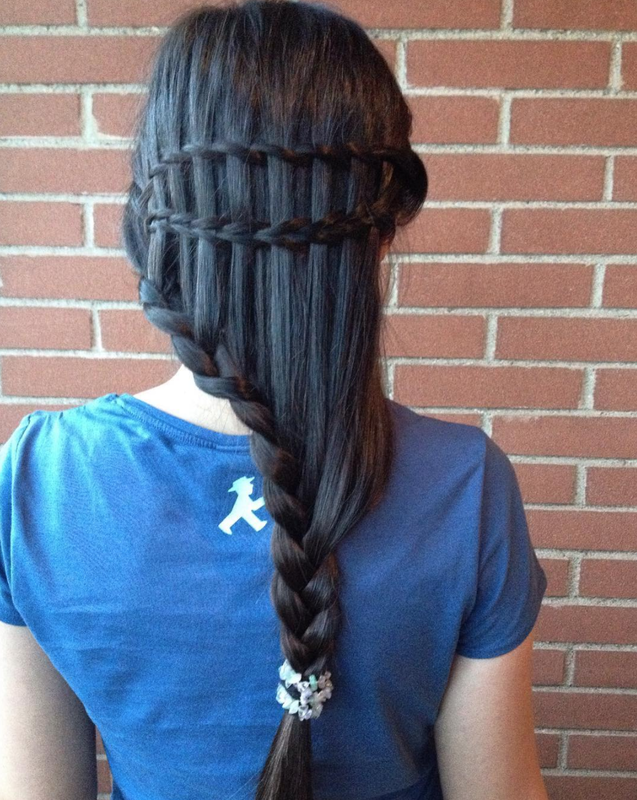 This double ladder braid ponytail looks complicated, but doesn’t take too long to create. 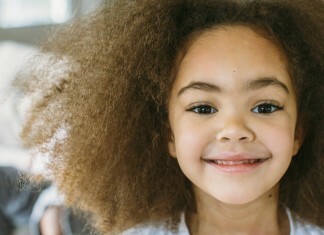 Begin with the skinnier side braids, which are simple three-strand braids that have skinny sections pulled out of them. 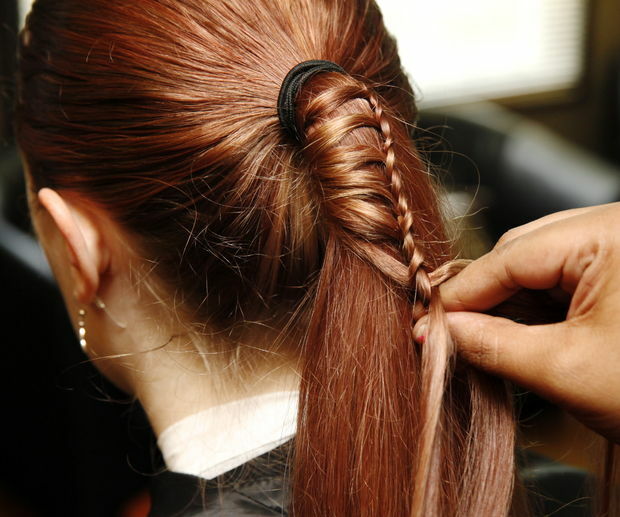 When you start braiding the larger center braid, add these skinny sections in from each side. Tie all hair together in a low ponytail, and wrap for added effect. 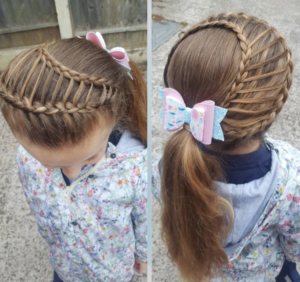 This ladder braid headband is an easy way to wear the look. Begin by making a waterfall braid that runs very close to the hairline, then finish with a second braid behind it to create a thick headband. 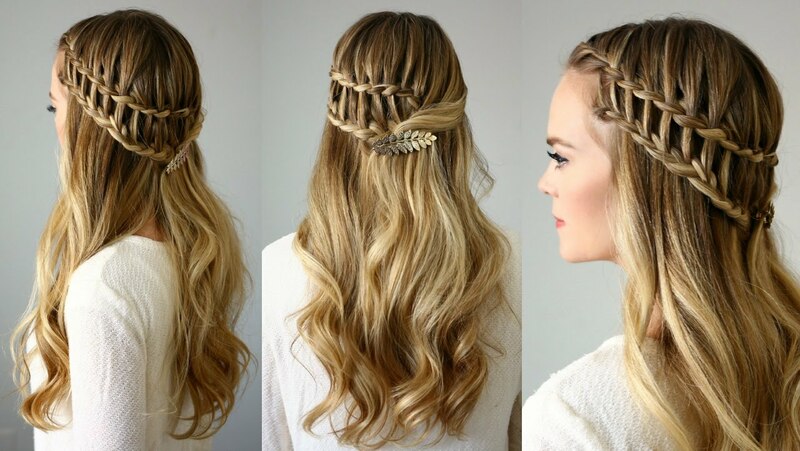 To get this extra fancy ladder braid style, create a waterfall braid from one side of the head to the other. Continue this same braid to create the lower half of the ladder. Once you’ve picked up all the waterfall strands, keep braiding hair in a simple three-strand braid, then gently pull apart and wrap to create the flower shape. 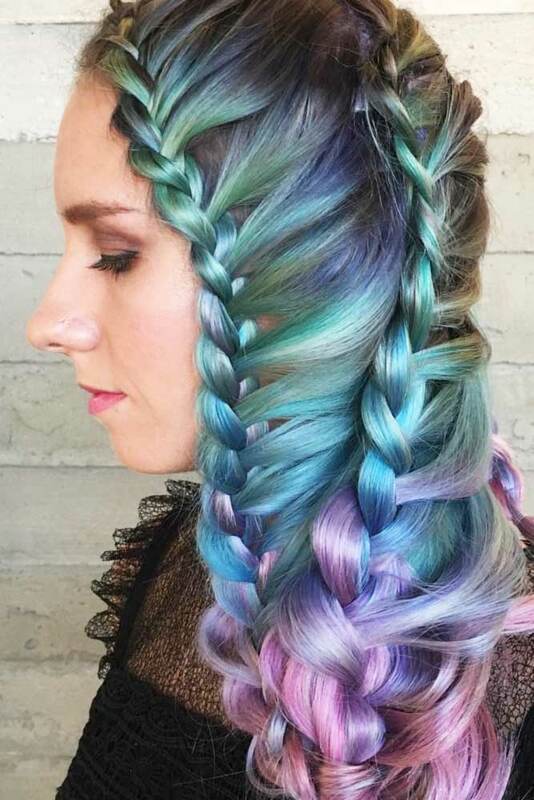 Rainbow hair is the perfect canvas for this braided style. 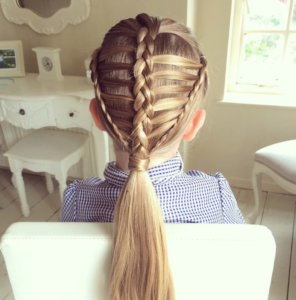 Start with hair at the back half of the head and create a three-strand braid that pulls in sections from one side. Do a second braid using the front section of hair, adding in remaining hair as you braid. Start this look with a two-strand waterfall twist that moves horizontally across the back of the head. 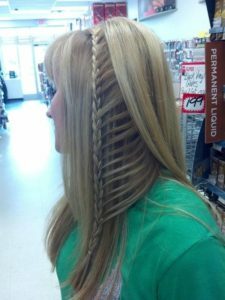 Next, do a three-strand waterfall braid underneath your twist. To finish, create a third braid and tie together once all loose hair has been added to the braid. Wrap a ladder braid across the head from one side to the other, finishing in a simple ponytail to complete this cute hairstyle. 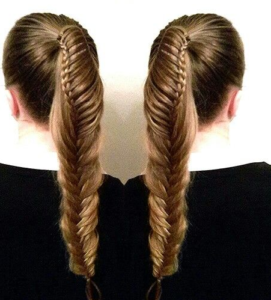 Create a two-strand waterfall twist from each side and tie together at the back of the head. Follow with two more two-strand twists that add in the dropped pieces from your waterfall twists. Tie these together to complete your half up look. 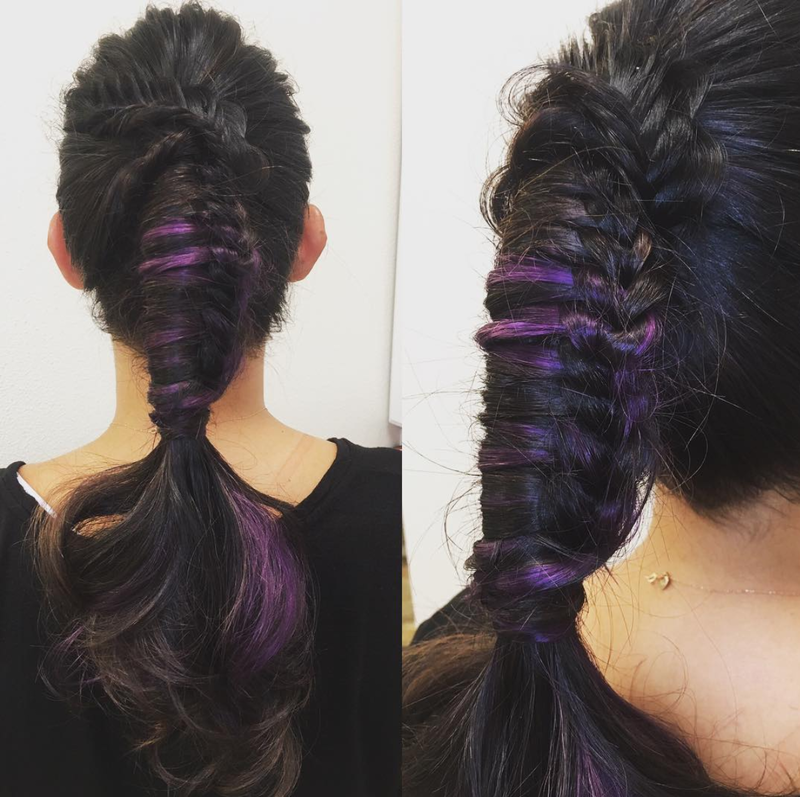 Do a ladder braid halfway down a high ponytail, then switch to a fishtail technique to create this cool combination style. This fun look combines a wrap around ladder braid with a french fishtail look. Do the ladder braid first then work on the french fishtail braid, adding in the loose ends of the ladder braid to help secure it in place.